New San Francisco restaurant thinks they’ve found the secret to perfect burgers… a robot chef. Creator, a new restaurant in San Francisco, is home to the world’s first entirely robot-made burger. It costs $6–and it’s actually really good. Through a glass case in a new restaurant in San Francisco, I’m watching the chef make lunch. That chef is a Rube Goldberg-like machine, slicing buns, adding condiments, grilling meat, and spitting out a fully prepared hamburger–all without any human intervention. A row of brioche buns moves to the right, dropping one bun down a slot where a tiny saw slices it in half. The machine adds a little clarified butter, toasts the bun, and drops it in a box on a conveyor belt, where the machine squirts a precise amount of each sauce for the order, slices tomatoes and onions in real time, grates cheese, and grinds beef to order before cooking the patty. In five minutes, your meal emerges. I’m a vegetarian, but the meat-eating colleague I brought with me declares that the burger is very, very good. Vardakostas and cofounder Steve Frehn spent the last six years working on the machine, despite being told it wasn’t feasible. The startup isn’t the only team to try to use robots to make burgers; Flippy, another robot, can flip patties, though it can’t handle any other step of the process, and when it debuted in March, it struggled to work with humans. Creator’s machine is the first, Vardakostas says, to fully transition any segment of food to automation. 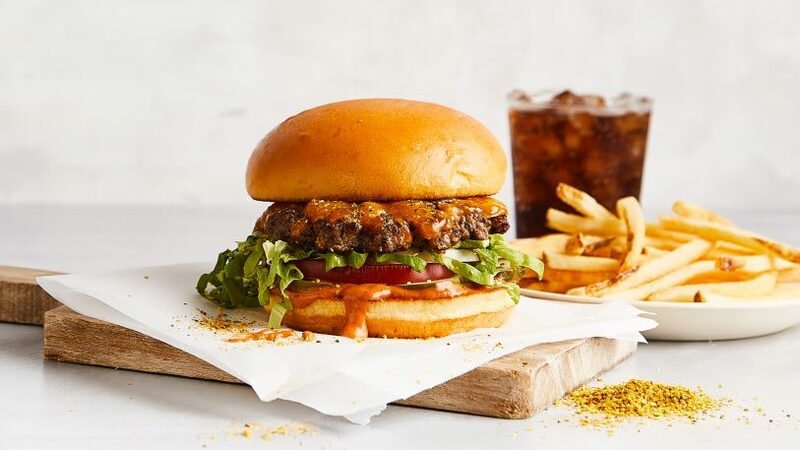 Using the machine makes it possible to improve the quality of a burger while keeping costs low; the burgers start at $6 (a Big Mac costs $5.79 in San Francisco), but the robot is so cheap to run that the restaurant can afford higher-quality ingredients, like pasture-raised beef. Rather than using cheap, pre-sliced hamburger buns, it can use fresh rolls with no preservatives. The robot toasts buns for 90 seconds, something that a line cook wouldn’t have the time or patience to do. Slicing tomatoes and onions to order leaves the ingredients crisp, and grating cheese to order helps it melt. The meat can be handled for the best texture. “When the patty’s put into the griddle, it’s so loosely packed it will literally fall apart in your hands, but the robot has the dexterity to keep it all together,” says Vardakostas. Though humans don’t make the burgers–other than to load the machine with ingredients–the restaurant does still provide jobs. When customers enter, employees greet them, explain the many options for toppings, and help customers order: Because you can adjust all the ingredients with a level of precision you don’t get at a regular burger place (you can even decide whether you want your ketchup on the top or bottom bun), it’s helpful to have someone talk through your options. The restaurant is launching today with limited hours and online reservations, before shifting to standard hours later in the summer. The founders hope to soon expand outside of San Francisco, with a vision of bringing better options for low-cost food to the type of small towns where they both grew up, which will just require rolling up a machine and adding the ingredients. “We want to democratize access to high-quality food,” says Vardakostas. This new app sells the unused space on South African cargo trucks for cheap. Japanese Train Stations and the incredible behavioural economics in action.